Lisa Charleyboy is the co-editor of the anthology #NotYourPrincess, which collects poetry, essays, interviews and art by Indigenous women from across North America. 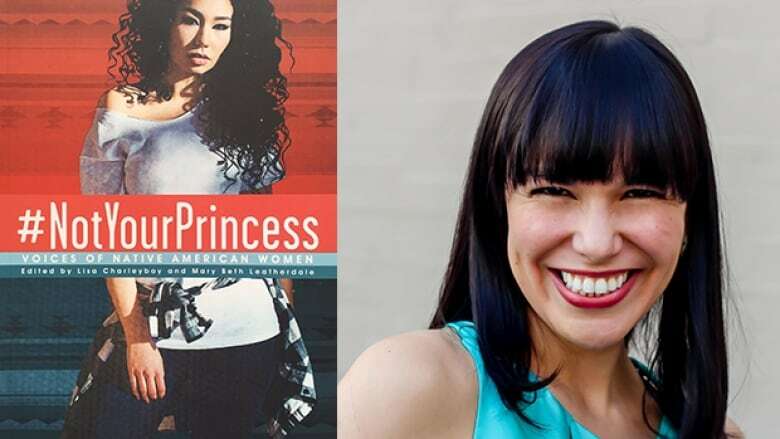 #NotYourPrincess is a nonfiction book for young readers that collects poetry, essays, interviews and art by Indigenous women from across North America. The anthology, co-edited by Lisa Charleyboy, a Tsilhqot'in storyteller, and Mary Beth Leatherdale, won the best young adult book at the 2018 AILA Youth Literature Awards and picked up the $10,000 Norma Fleck Award for Canadian Children's Non-Fiction at the Canadian Children's Literature Awards. "Initially, we knew we wanted to do an anthology that was devoted to Native American women and that was something that was in the hopper for quite a while. I wanted to share the Native American female experience, an Indigenous female experience, in both Canada and the U.S.
"I had such a strong reaction to [Beyoncé's Lemonade] and my co-editor, Mary Beth Leatherdale, did as well. We thought it was such a beautiful storytelling adventure — the story of black women in the United States, the history, the colonization and its effects in modern society. "We were talking to each other and thought, 'Wouldn't it be great if we could create an anthology that had the same kind of emotional resonance that Lemonade had with us?' So that was our goal." "When I was a teenager, I felt that there was no reflection of Indigenous people. But I didn't think about it so much in a critical way. All of the things that I saw represented in mass media and pop culture were always negative stereotypes. It made me want to distance myself from identifying as Indigenous. I think that's where the self-loathing came in, and that feeling of not wanting to be a part of that and not wanting to be seen as that. "It would have meant so much to me, to see young women and women of all ages in leadership positions and in different artistic endeavours, to even know that they existed, because I had no idea. I didn't know that there was this huge wealth of Indigenous creative people all across the country. Had I been privy to that at a younger age, I probably would have set my sights a little bit higher. It would have given me more inspiration to move forward in a bigger way. "Thankfully, things are moving forward in a great way now and we have so much more representation in all areas of our society. This book is just a small contribution to that." "I think in sharing the experience, not only between Indigenous women but also with non-Indigenous society as a whole, we can start to address some of the issues and begin conversations and come up with ways to circumvent some of these harder issues in a more robust way. "I'm so moved by Native American women all across Turtle Island. There's just so much strength and everyone is doing things that are are in their own category. It's allowing for more breadth of experience for younger women to look at and to say, 'Yeah I can do that.' That sets up a really strong next generation." Lisa Charleyboy's comments have been edited for length and clarity.